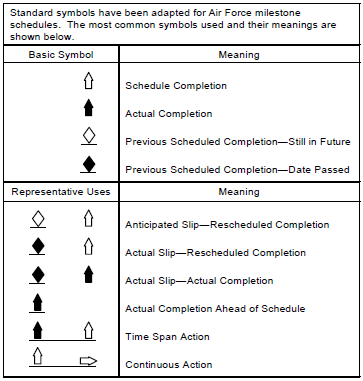 A Milestone Chart focuses on planned significant events scheduled to occur at specific times in the program. 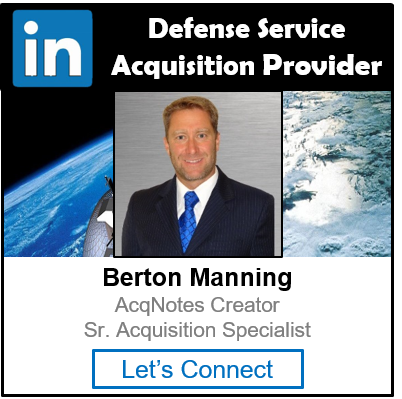 Such events could be the initiation or completion of a particularly important or critical activity, equipment deliveries, reviews, or approval dates. Like the Gantt Chart, the milestone chart uses symbols imposed on a calendar to provide information about planned and actual completion dates and any revisions to the milestone schedule. There is no standard set of symbols for milestone charts. Program Managers (PM) rarely use pure Gantt or milestone charts. Normally they integrate the information from these charts and display it in a combination chart. Such a chart can be useful in displaying the planned and actual duration of activities using the Gantt chart symbols and in monitoring the progress for completing key events in these activities using the milestone symbols.